AgileTour Dublin 2013 – Limited Capacity – Register Today! 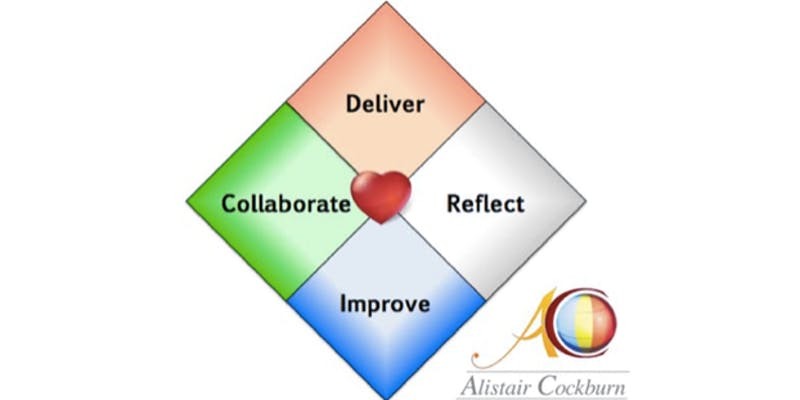 I’ll be running a Simulation Workshop at the ALI conference 25/26th April in Dublin – see how managing WIP in your IT and development teams improves speed, throughput and predictability – eye-opening stuff! Recently did a Q&A type interview with Rahul from Agile-Atelier – on the subject of Kanban – wide ranging discussion touched on lots of important points such as importance of slack, Cynefin and complexity and planning in Kanban environments. It includes a small subset of the content in my 1 day Agile Leadership training module – designed to help middle and senior leaders support their agile transformations. We can now announce the dates for our annual community conference in Dublin – put this date in your diary: Thursday 18th Oct 2018. This will be another great chance to share experiences, tip and trick on agile with fellow practitioners, learn from others in the community, and to network and have fun! And, as a non-profit, volunteer run event we are on the look-out for possible speakers! Would be great if you and your colleagues could contribute this year – present your experiences, talk about an important topic, run a small workshop. The 7th Agile Tour conference is Ireland’s favourite agile event – an friendly, informal place to learn, to share experiences and to exchange ideas. It has grown from 30 participants in 2010 to 300 last year but retains a strong feeling of community. This year we will have some international speakers but keep a firm focus on our ever increasing local agile knowledge. We are now looking for more speakers to tell their story. Whether you are a seasoned speaker or never presented before please send us your idea for a talk or workshop. See last years programme (https://lnkd.in/ggtKKBR) for sample abstracts. We are looking for 35min talks or 90 min workshops/tutorials. The deadline for submission is May 31st . Please email your submission to agileIreland@gmail.com. Please include your title, abstract and short bio. Thanks in advance for contributing to this voluntarily run, community event! The majority of agile implementations either fail completely, or deliver a fraction of their promise. Why so? Most organisations and their leadership teams still follow prescriptive, efficiency based management paradigms, developed throughout the 19th and 20th centuries in a simpler, slower moving, more predictable world. Modern business, and software development in particular, must now deal with a level of complexity which refuses to play nice with traditional management approaches. Todays product development organisations are more akin to complex adaptive systems, which, by definition, implies the answer cannot be “figured out” in advance. No amount of analysis, design or planning our projects will allow us predict how they will unfold, what they will, or should, deliver or the value they will create. So if we can’t predict how the future will unfold, how can we as leaders create plans, assign responsibilities, measure performance, make commitments to stakeholders? Agile Leadership is about building resilient organisations – organisations that can adjust structure and reconfigure resources dynamically based on emerging challenges. Such organisations cannot be built on static, power based hierarchies. Information and decision-making authority must be deployed dynamically to where it is needed at a point in time. •Building professional competence and a common doctrine across team members, resulting in mutual confidence and trust in others, in turn leading to speed and effectiveness. •Aligning personal, team and organisational incentives thereby avoiding conflicts and even subversion of intent. While only the tip of the iceberg in terms of agile leadership, these topics give a feel for the challenges and fundamental changes in approach leaders face in adopting agile. A true transformation requires knowledgable, persistent leadership, training and coaching at all levels of the organisation. On estimates, commitments and guarantees…. Over the last few weeks I’ve found myself having the same conversation with three different client companies: ‘How do we get our teams to commit?’ There is usually a back story of frustration accompanying this question – the teams are not delivering what was ‘promised’, theres a perception they could do better if they tried harder, etc. Estimate: This is a guess, based on the information available at the time, of how long something will take to do (or how ‘big’ it is). Commitment: This is where an individual or team commits to an endeavour – they will do their best to accomplish a certain goal or carry out a certain task. Guarantee: This is a warranty – a promise that the goal will be achieved, the task completed by a certain time, come ‘hell or high water’. The word guarantee implicitly means 100% certainty. 90% certain is not a guarantee. The trouble is, all too often these terms are conflated – they are interpreted by some as being one and the same. If you give me an estimate, it may be taken as a guarantee. Or if you do not deliver on time, you were not committed to the task. But these terms mean entirely different things. In the uncertain world of software development, an estimate cannot be taken as a guarantee. And regardless of how committed a team is to achieving an objective, there is still no guarantee they will succeed. If they don’t succeed, its not necessarily that they didn’t give it their best shot! Think of a rugby team going out onto the pitch for an important game. Their form and that of the opposing team may indicate they are likely to win by 10 points or more (the estimate). The team are fully focused on winning – they will throw their bodies into the fray with unrelenting vigor and determination (the commitment). But theres still no guarantee they’ll win! Like to get Scrum Product Owner Certification? Training includes exercises, lots of sample questions and a practice exam. Feedback from the last time Colm ran this course included ‘the trainer was very, very, very good‘! For further details of course content, see our website. AgileInnovation | Powered by Mantra & WordPress.